Pulling in hippies and backpackers for the past few decades, Goa‘s sandy beaches, Portuguese-influenced food and tropical countryside has finally started to entice the rest of us. And, perhaps more famous than its spectacular scenery and rich food culture, is its nightlife. Goa is loved by travellers for melding Indian and Portuguese cultures with laid-back good times and beach bum vibes. 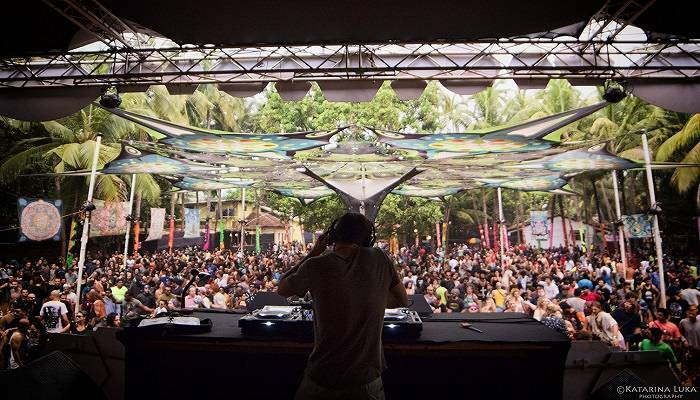 And its nightlife is equally as multi-faceted – from beach parties to airy courtyards and sweaty nightclubs, Goa has got your party needs covered from all angles. Not to mention it offers great value! Want to know where to party in Goa? You’ve come to the right place – we’ve put together a handy guide to our favourite places to join in the fun! 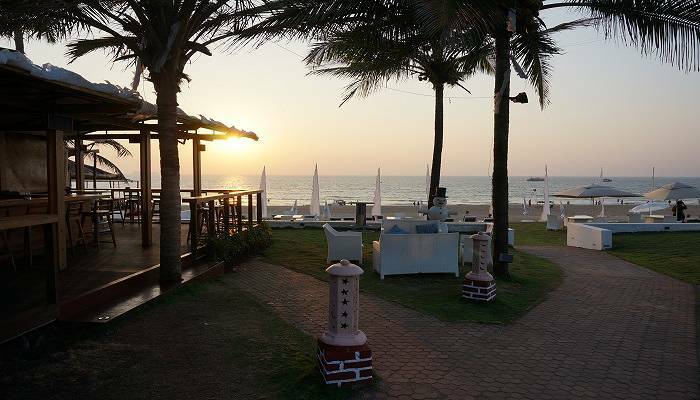 Home to Goa’s most iconic nightclub, Tito’s, Baga is where you go when you want to party ‘til sunrise. Knock back a couple of drinks in the courtyard before entering the nightclub proper, which throws a raging party every night of the week. On the same stretch, Café Mambo and River Front Bistro are also popular among party goers. Fancy something a little more casual? Head to the beach where you’ll find several shacks bringing the good times – Britto’s and Zanzibar are a couple of the most popular. Both serve food and offer panoramic beach views. For something a little different, shop up a storm at Mackie’s Saturday Night Bazaar, where you’ll find clothes, accessories, tea, spices and more. There’s also live music and plenty of tasty things to eat and drink. 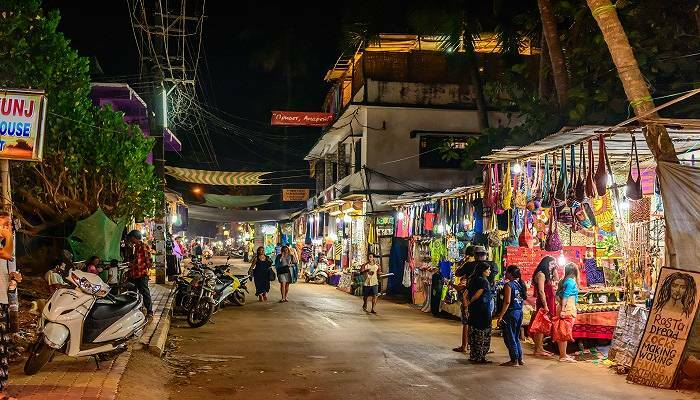 A little more easy-going than its hard-partying northern neighbours, Candolim, which lies in the shadow of 17th-century Fort Aguada, nonetheless holds its own when it comes to nightlife. SinQ Beach Club and Lounge adds a dose of class to proceedings with a VIP lounge and celebrity DJs. Start the party during the day in one of its poolside cabanas before heading in to the nightclub. Follow up at Cohiba, which shakes and stirs some of the best cocktails in Goa with a pumping dance floor to boot. Alternatively, claim a patch of sand next to the bonfire at The Pine Shack and fill up on barbecue before you hit the town. Stick to the beach theme at Club LPK – Love Passion and Karma, a beach shack disco that spills out onto the sand. Or, if you’re feeling lucky, have a flutter at nearby Las Vegas casino. If you want to embrace the great outdoors during your Goan party adventures, Vagator should be top of your list. First up, head to HillTop, which is held in what is essentially an open-air field dotted with palm trees with painted fluorescent trunks. HillTop’s speciality? Trance music, and plenty of it. It usually closes around 10pm, thanks to the area’s noise restrictions, so head across to Primrose, a neon-dusted hall of dance and trance. Or, wander down to the bottom of the cliffs to Our Shack where it’s less about dance, more about relaxing with a drink in hand – unless you’re at one of its all-day dance parties, of course! During the day, the palm tree-lined sands of Anjuna Beach are all about relaxation: chilled out music drifts from the speakers of the surrounding beach bars as holiday-makers duck under waves and explore its rock pools. But the area is transformed into rave city come sunset. The same beach shacks that are hubs of stress-free good times during the day pump out psychedelic music, and revellers take over the dance floors and the sand. Start off the night with a post-swim cocktail at local favourite Curlie’s before tottering next door to Shiva Valley, known for its wild UV parties and psy-trance music. Finish the evening a few streets back from the beach at Club Cubana. Here, the drinks are cheap and you can party on a rooftop or jump into the downstairs pool if the dancefloor gets too sweaty. The views and endless drinks that are part of your entrance fee aren’t anything to sniff at, either. 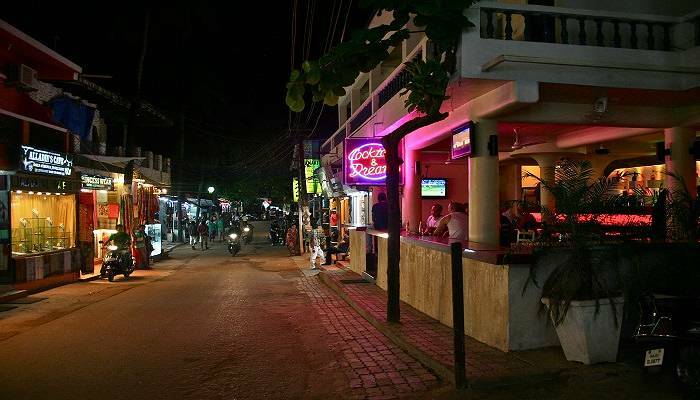 Go check out Goa’s nightlife for yourself. But first make sure you get a great deal on your flight, hotel or holiday over there!